¡Aaaaaaayyy! The truth is that to talk about Pedro Infante, it’s imperative to start with one of those cries that immortalized the great idol of ranchera songs and Mexican cinema. But of course, a cry that is read on paper doesn't have that flavor, nor does it represent what the actor and singer of the Golden Age of Mexican Cinema was like. The only other way to get a feel for this important cultural figure is to go and witness his reincarnation in the theater production Pedro Infante: Cien Años Pienso En Ti, which will be coming to the Hudson Valley for the Day of the Dead festivities later this month. The awarded theater production, which was written by the recent Hudson Valley resident, Toby Campion, arrives to the Chapel of the Holy Innocents at Bard College on the very Day of the Dead, November 2nd. The next day, Saturday November 3rd, the show will be held again at Old Dutch Church across the river from Bard, in Kingston. Pedro Infante: Cien Años Pienso En Ti is part of the celebrations for Day of the Dead and is also a fundraiser for La Voz magazine. The show, which has been acclaimed on the West Coast, in Mexico and in New York City, tells the story of a Mexican immigrant grandmother who wishes one day to be able to go back to her country to live with her family and to finally experience the freedom which she has not been able to find in the US. The grandma, Doña Pancha, who is brought to life by the Mexican American actress Juanita Lara, mitigates her time away from her home country by praying and listening to the songs sung by the great love of her life, Pedro Infante, until one day her prayers are heard. Of course you can assume that throughout the show, which can be described as a musical comedy, you can hear a dozen classic songs of the Mexican idol who died in Mérida, Yucatán in a plane crash in 1957, at the age of 39. Attendants will hear classics such as “Amorcito Corazón” complete with its catchy little whistle, “México Lindo”, “Yo Soy Quien Soy”, “Deja Que Salga La Luna”, and “Cien Años”, among others. The show, which addresses themes of respect, pride and dignity, was not made to be seen and experienced sitting down and in silence. On the contrary, comments playwright Campion, “the thing I like most about the show is when everyone starts singing along with the actors to the classic Pedro Infante songs”. 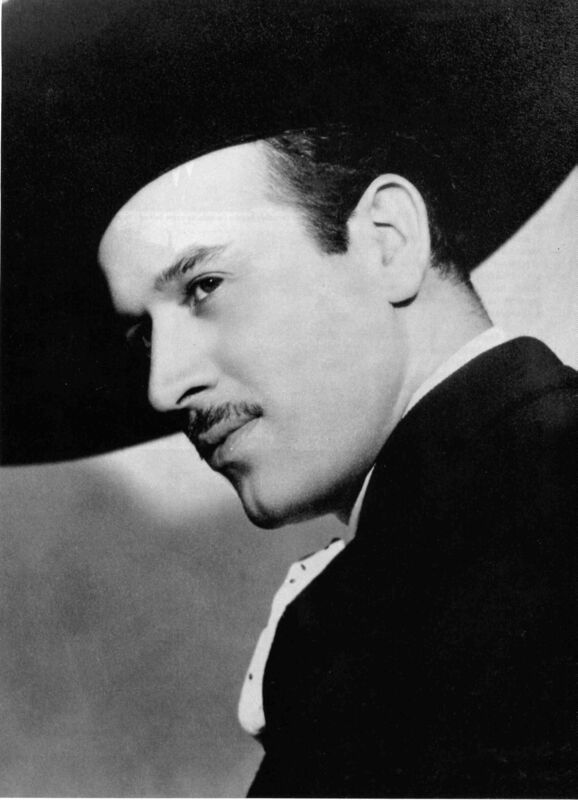 Coinciding with the seasons of Halloween and Day of the Dead, and the fact that the church in which the Kingston production will be held is surrounded by tombstones, it is fitting that Pedro Infante, played by the Colombian American actor Sebastián Beltrán, makes his first appearance on scene like a ghost. Beltrán, a self described lover of Mexican culture, remembers having grown up watching “El Chavo del Ocho”, the films of Cantinflas and also those of Pedro Infante. In these times, in which the Hispanic community is under attack by a wave of anti-immigrant sentiments, one which has left many families torn apart, the theme of immigration and of the pain caused by deportations could not be left out of Campion’s work. These themes are brought to light when Campion presents us with the frustrations and grief felt by Andrea, the granddaughter of Doña Pancha, whose husband has been deported. Andrea is played by Jamie Venegas. The show, which has been adapted to fit into one act and to be played by 3 actors, is directed by Germán Jaramillo, who founded iD Studio Theatre in the Bronx, and who remembers having grown up in Colombia listening to the music of the three big names of ranchera music, Jorge Negrete, Javier Solis and Pedro Infante. “In fact”, comments Jaramillo, “the voice of Pedro Infante is one of those essential voices which you need to know in order to understand Latin American culture”. The fact that this show about the Mexican idol and the lives of immigrants should come to the Hudson Valley in Spanish, shows that the growing Hispanic community is big enough to demand (and sustain) entertainment in its language. For this reason, director Jaramillo believes that “with the arrival to the Hudson Valley of the Pedro Infante show, we could create an audience to which we could bring 3 or 4 shows in Spanish per year”. The cast, headquartered at iD Studio Theatre, was recently awarded by the Hispanic Organization of Latin Actors, known as HOLA. Juanita Lara (Doña Pancha) received the award for best supporting actress for her role as Doña Pancha. Sebastián Beltrán was awarded for his outstanding role in the musical Pedro Infante. Director Germán Jaramillo won best actor for his role in the play by Gabriel García Márquez, El Coronel No Tiene Quien Le Escriba. The show also received an award for production and design. Thanks to Radio Kingston, the organizers of the event have included a bus from Poughkeepsie to pick up residents living between Poughkeepsie and Kingston. This way, the public can travel free of cost to and from Kingston for the show. The show comes to the Hudson Valley precisely on the centennial year of the birth of the Sinaloan Pedro Infante. Some speculate that only older generations of Mexicans will come to sing along to Infante’s songs, while others hope that the younger generations of Latinos will also show up, having grown up hearing their parents sing these rancheras. Since the Hudson Valley has various educational institutions, it is the hope that the Spanish and Latin American Studies departments will send their students to take advantage of this unique opportunity to expand their knowledge about culture from South of the border without having to leave the Hudson Valley. The celebrations of Day of the Dead will last one week. Celebrations begin with the opening reception for a Mexican art show, scheduled for the 28th of October at 3pm at Keegan Ales in Kingston (20 Saint James Street). The event, which includes artwork from local artist Inés Chapela, and the participation of folklore groups from Poughkeepsie, has a suggested donation of $10, which will go directly to help fund La Voz magazine, which informs the 140,000 latinos of Dutchess, Ulster, Orange, Sullivan and Columbia counties. Pedro Infante: Cien años pienso en ti, musical theater production in Spanish with English subtitles, is for ages 10 and up. Tickets can be bought at the door and online at Eventbrite for Friday and Saturday. High school and college students with student ID $5. Saturday, November 3rd at 6pm at Old Dutch Church (272 Wall Street, Kingston) Activities will begin at 1pm and include a Day of the Dead altar, children’s activities, storytelling in Spanish, music, food vendors, and more!